What better way to display your fabulous fare than on a kraft menu. Tactile kraft board creates a menu that says organic, eco and healthy in a beautiful manner. Our selection of flat and folded kraft menus are sure to fit the bill. 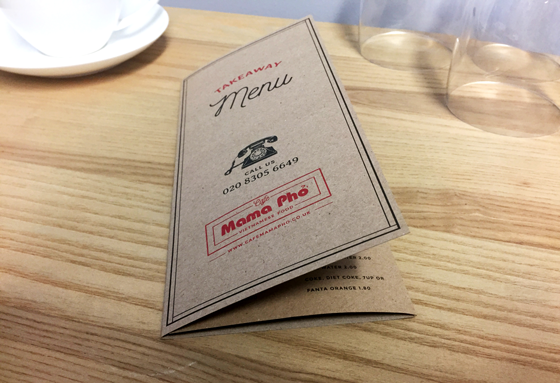 Printed on thick 285gsm board these menus are a must for organic, retro and uber trendy eating establishments - the new hot dish of the day! We recommend keeping your kraft products printed black or in darker colours such as deep reds and blues so that they are not 'fighting' with the colour of the board. 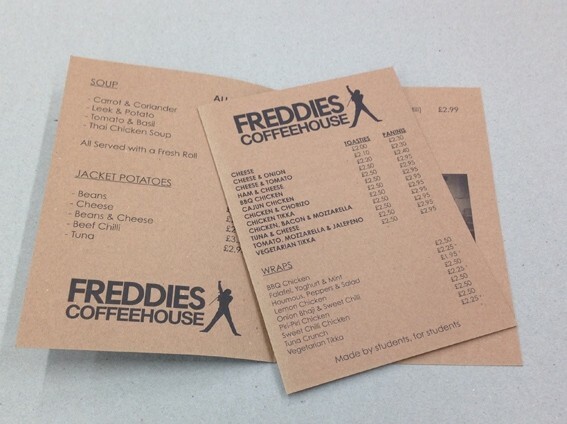 Choose from a range of flat and folded sizes for the menu that suits you. Our folding options are A4 folded once to A5, folded twice to DL finished size and A5 folded once to A6. Mouth watering delicious, Kraft paper truly lends itself to menu printing. With a tasty natural brown colour half of your design is already done! 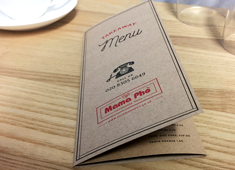 Simply add your design and voila, a menu that looks as good as the food. VAT is due on this product and will be added in the cart. Different menus for different venues! 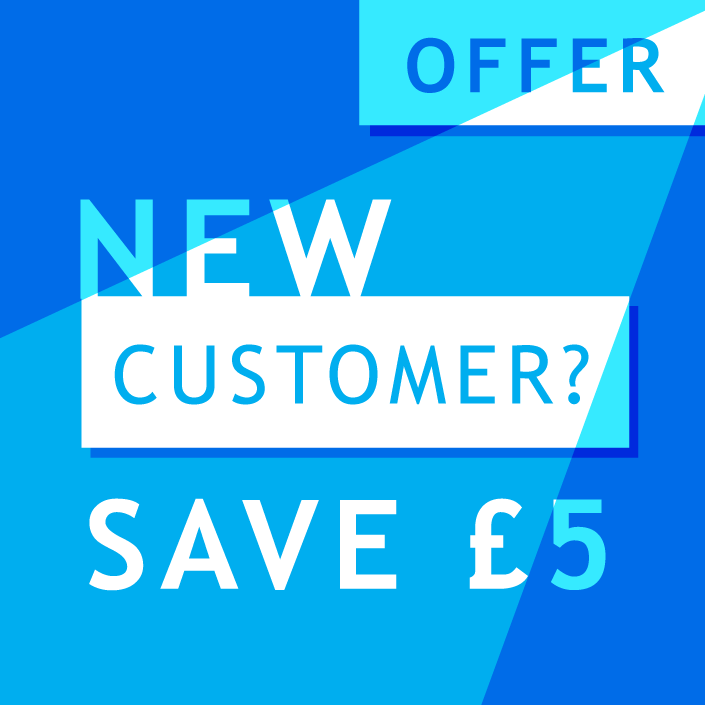 Up to five for the same price - food glorious food is now easily available. We know that you will fall in love with your kraft menus. 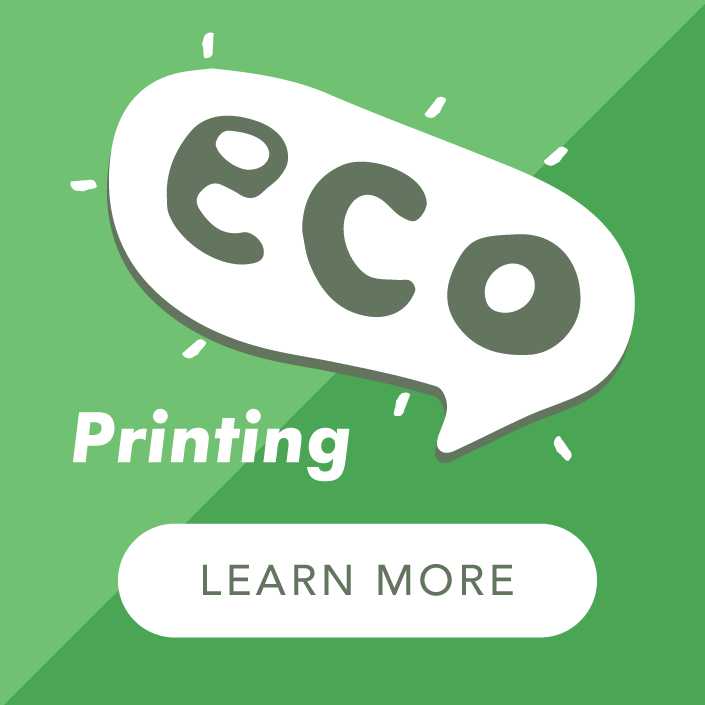 To get the best from printing on kraft we have a kraft information page specifically to deal with any questions about this unique material and to give you all the information you need to get the menu you want.